These were the fourth and fifth times I got to see UFO and as it turned out the last. 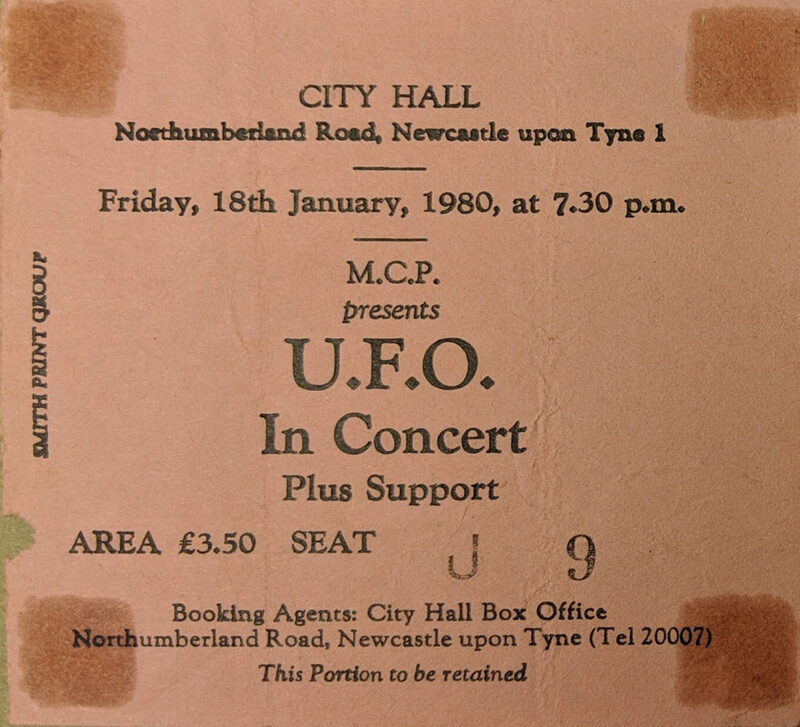 I’d seen them twice at Newcastle Mayfair with Michael Schenker on guitar and then on more more occasion at the City Hall after he was replaced with Paul Chapman. 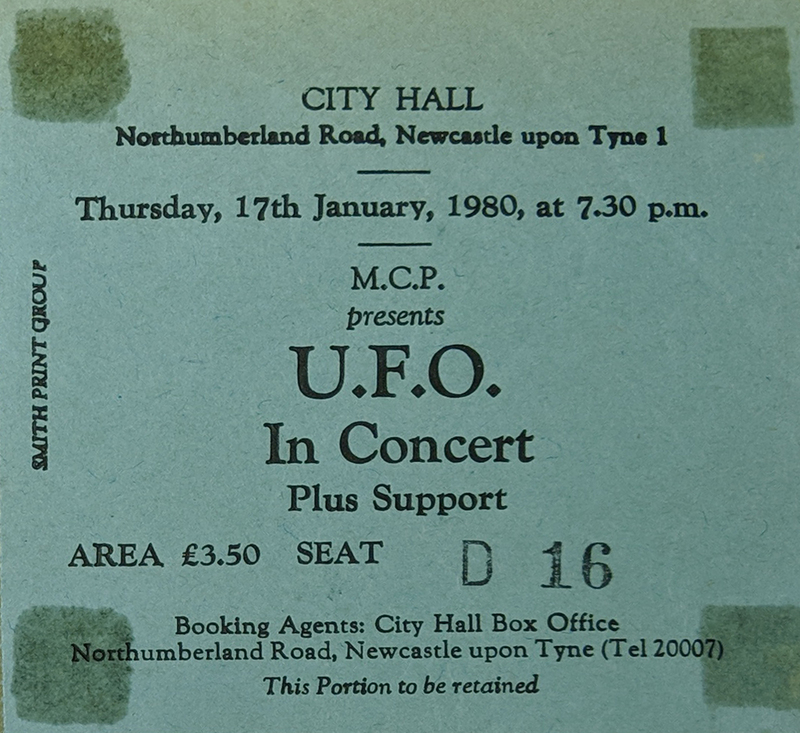 I can’t remember if we planned to go to both night or if we went along to the first show and enjoyed it so much we went back again the following evening and bought tickets on the door. I know we had quite good seats for both nights – ironically better than we’d had when I took my camera along the previous year! I know the band played the same songs both night and I’m pretty sure they wore the same clothes both nights too! The set list below if from another night on the tour but I’m certain it would have been the same in Newcastle!